MDHHS awarded Our Kitchen Table 2018 Child Lead Exposure Elimination Innovation Grant in the amount of $75,000.00 to reduce lead poisoning in three “hot spot” zip codes. The project involves a three-prong approach. Participants are being educated about the threat of lead exposure/poisoning within these “hot spots” and the role good nutrition can play as a preventative measure. 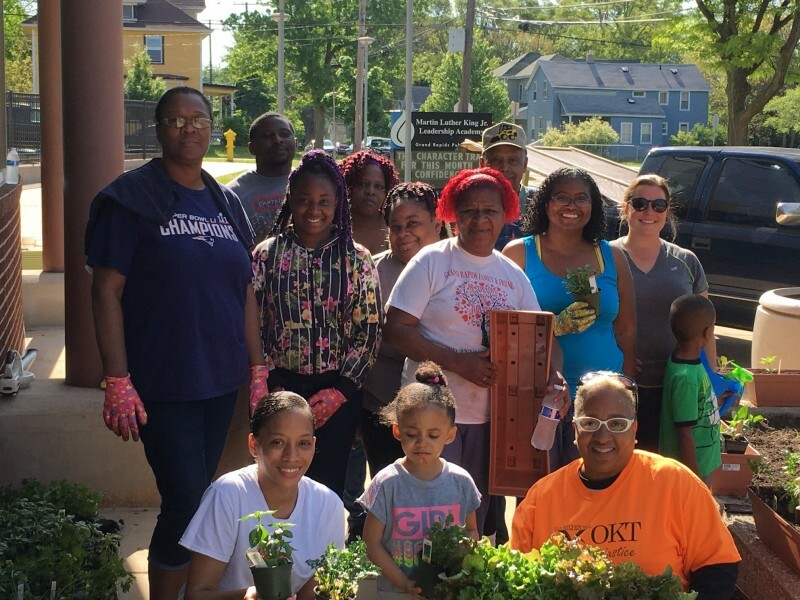 Second, OKT staff and volunteers are working with families to create window box and container gardens to grow fruits, vegetables and herbs high in iron, calcium and other minerals proven to improve health status as well as prevent lead poisoning or minimize children’s absorption of lead. Participants that grow food gardens will be assigned and work with an OKT cooking coach to develop and prepare meals and snacks using the grown fruits, vegetables and herbs from their food gardens. 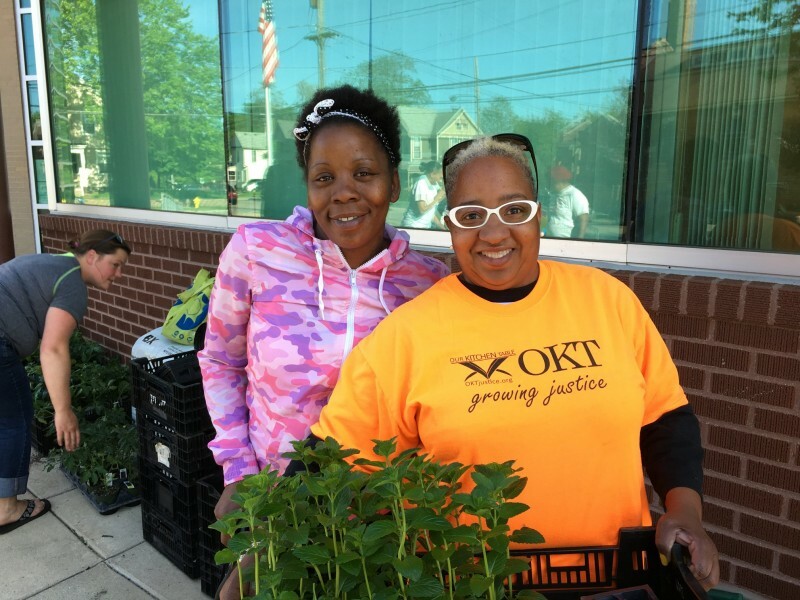 OKT is also encouraging participants to shop at its Southeast Area Farmers’ Market, a walkable market in the 49507 zip code offering fresh local produce as well as a bulk whole foods buying program. 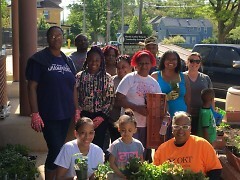 OKT has assisted school families and staff with planting and maintaining a food garden for the past four years. Through the food garden, 150 families have received fresh produce and herbs. Likewise, MLK school families have participated in shopping at the Southeast Area Farmers’ Market and bulk whole foods buying program. In addition to being lead poisoning hot-spots, these zip codes also have some of the highest rates of poverty in the county. At MLK school, 96 percent of the 440 students come from families that receive food assistance. The same percentage of students receives free or reduced lunches. Twelve percent of the students attending MLK school experienced homelessness in 2015. The racial/ethnic profile of the student population is 76 percent African American, 11 percent Hispanic/Latino (11 percent), 6 percent White, and 6 percent multiracial (6 percent).